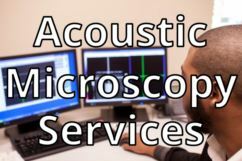 Semiconductor & Capacitor Inspection | AcousTech, Inc. 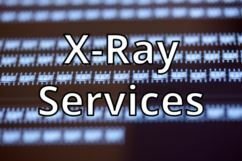 Many semiconductor and capacitor manufacturers rely on AcousTech’s scanning acoustic microscopy (C-SAM®), x-ray, and visual inspection services not only to screen parts for quality but also to verify their manufacturing processes. That’s important, because these industries are always innovating, always changing to keep up with rapidly developing microelectronic needs. When it comes to product screening, it’s the nondestructive nature of our inspection methods that primarily impresses semiconductor and capacitor engineers. But they also trust that our methods find defects other screening techniques miss. C-SAM® in particular is unexcelled in finding delaminations, cracks, and voids in microelectronic parts. Equally impressive to our semiconductor and capacitor industry clients is the partnership approach we take in working with them. First, we provide whatever consultation they need to understand our procedures. Then we customize our tests to their individual requirements and collaborate fully with them throughout the screening process. We also provide full documentation of our work, which includes detailed yet concise descriptions of our test results along with accompanying photos. If you’re a semiconductor or capacitor manufacturer in need of superior inspection services, contact AcousTech. 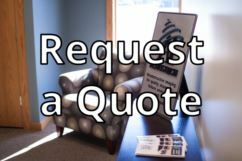 Besides the benefits of partnering with us described above, you’ll also find our pricing competitive and our turnaround fast!